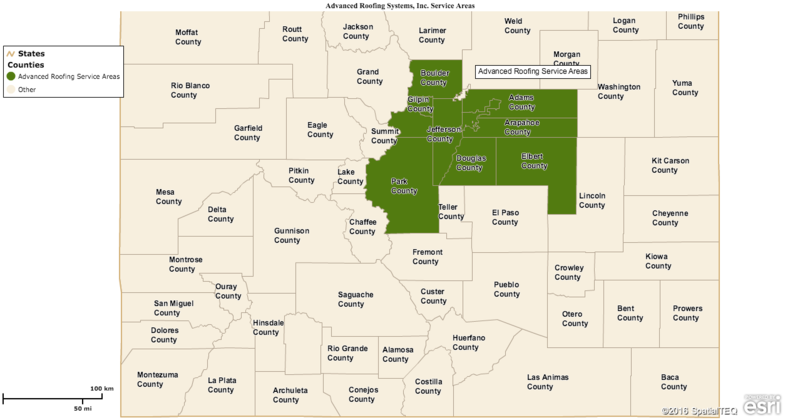 Advanced Roofing Systems is a quality first and trustworthy roofing company serving the Denver Metro area. It’s hard to find a roofing company that puts integrity first. We pride ourselves in taking care of our customers. We offer roof repairs, hail damage repairs, storm restoration repairs and full roof replacement. Our dedicated team of Aurora roofing contractors use only the very best roofing materials to repair or replace your roof. All of our roofing technicians are trained at a much higher standard than most other roofers in Denver and the surrounding areas. Their main focus is on you and your roof repair. We put our customers first and want to make sure your roof is the quality that you need so you will refer us to your friends and family. We serve Denver, Aurora, Lakewood, Parker and surrounding areas. Check out a full list of our services here. If you live in Aurora, Colorado and need a roof repair we can help. We are a member of Team Dave Logan. Team Dave Logan applicants must adhere to the highest qualities to get accepted as a roofing contractor in Aurora, Colorado. We will schedule a free roofing estimate for your roof. We will provide an accurate and honest assessment of what needs to be done and will make the interaction with the insurance company as streamlined as possible. The materials that we use are made in America.